Are you interested in engaging with the ICCA Registry? 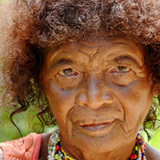 Learn about ICCAs (indigenous peoples' and community conserved territories and areas). Participate by registering your own ICCA or submitting a case study. Explore the world of ICCAs through the interactive map and case studies. 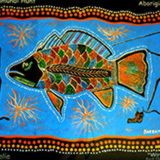 The ICCA Registry website is an online information platform for Indigenous and Community Conserved Areas, where communities themselves provide data, case studies, maps, photos and stories which result in useful statistics and analysis on featured ICCAs around the world. A new manual has been released to support communities, indigenous peoples and those who work with them to register their ICCAs. The manual describes things to consider before registering, how to register, and what to expect afterwards. The ICCA Registry has a number of key funders and partners working at the local to international level, simultaneously seeking to provide support and recognition to ICCAs. Are you happy for us to contact you to discuss this ICCA further? Your interest has been submitted.